All statistics correct as of 23 August 2017. 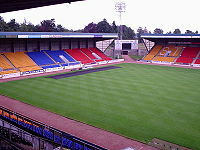 The 2014–15 Scottish Premiership was the second season of the Scottish Premiership, the highest division of Scottish football. The season began on 9 August 2014 and ended on the 31 May 2015. Celtic are the defending champions. Twelve teams contested the league: Aberdeen, Celtic, Dundee, Dundee United, Hamilton Academical, Inverness CT, Kilmarnock, Motherwell, Partick Thistle, Ross County, St Johnstone and St Mirren. Due to the relegation of Edinburgh-based teams Heart of Midlothian and Hibernian in 2014, this season marked the first time in football history in which Scotland's capital city had no representatives in the top league. 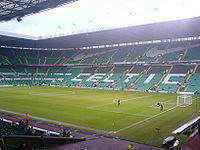 On 2 May, Celtic clinched their fourth title in a row after Aberdeen lost 1–0 away at Dundee United, leaving Celtic 11 points clear with three games to play. Dundee were promoted from the Scottish Championship. Heart of Midlothian were relegated from the Scottish Premiership. Hibernian finished in the play-off position in the Scottish Premiership. 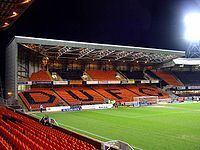 They lost to Hamilton Academical who took the final place in the second edition of the competition, a result which left the Scottish capital Edinburgh without a club in the top flight of Scottish football for the 2014–15 season. In the initial phase of the season, the 12 teams played a round-robin tournament whereby each team played each one of the other teams three times. After 33 games, the league split into two sections of six teams, with each team playing each other in that section. The league attempts to balance the fixture list so that teams in the same section play each other twice at home and twice away, but sometimes this is impossible. A total of 228 matches were played, with 38 matches played by each team. 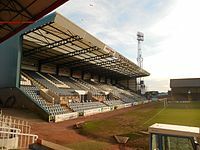 The team that finished 12th (St Mirren) was relegated to the Championship, while the champion of that league (Heart of Midlothian) was promoted to the Premiership for the 2015–16 season. 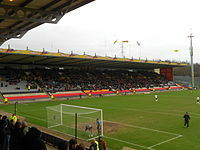 The team that finished 11th in the Premiership (Motherwell) played the winner of the Championship playoffs (Rangers) in two playoff games, with the winner (Motherwell) securing a Premiership spot for the 2015–16 season. Teams played each other twice, once at home, once away. Teams played every other team once (either at home or away). After 33 matches, the league split into two sections of six teams each, with teams playing every other team in their section once (either at home or away). The exact matches were determined upon the league table at the time of the split. 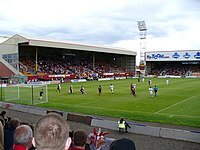 Motherwell won 6–1 on aggregate. ^ a b c d e f g "2014–15 Scottish Premiership statistics". ESPN FC. Retrieved 9 November 2014. ^ "Scottish Premiership 2014/15 campaign set for start on August 9". STV. 6 March 2014. Retrieved 6 March 2014. ^ "Celtic retain Premiership title". SPFL. 2 May 2015. Retrieved 2 May 2015. ^ "Celtic win Scottish Premiership title after Aberdeen lose". BBC Sport. 2 May 2015. Retrieved 15 May 2015. 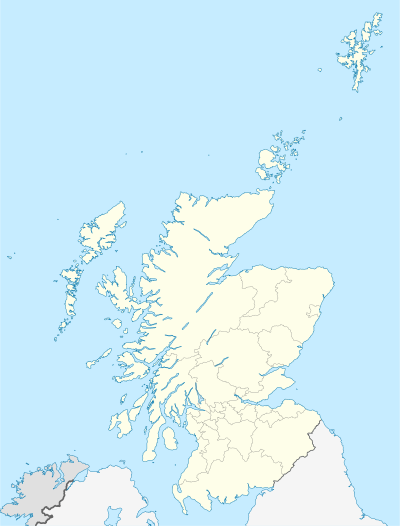 ^ "Inverness Caledonian Thistle Football Club". Scottish Professional Football League. Retrieved 11 November 2013. ^ "Ross County Football Club". Scottish Professional Football League. Retrieved 11 November 2013. ^ "St Mirren Football Club". Scottish Professional Football League. Retrieved 11 November 2013. ^ "Danny Lennon: St Mirren decide not to offer manager new contract". BBC Sport. BBC. 12 May 2014. Retrieved 12 May 2014. ^ "St Mirren: Tommy Craig appointed as Danny Lennon's successor". BBC Sport. BBC. 13 May 2014. Retrieved 13 May 2014. ^ "Celtic: Neil Lennon ends his four-year spell as manager". BBC Sport. BBC. 22 May 2014. Retrieved 22 May 2014. ^ "Celtic: Ronny Deila named new manager of Scottish champions". BBC Sport. BBC. 6 June 2014. Retrieved 6 June 2014. ^ "Ross County sack manager Derek Adams and his father George". BBC Sport. BBC. 28 August 2014. Retrieved 28 August 2014. ^ "Ross County: Jim McIntyre joins from Queen of the South". BBC Sport. BBC. 9 September 2014. Retrieved 9 September 2014. ^ "Stuart McCall: Motherwell manager resigns after five straight defeats". BBC Sport. BBC. 2 November 2014. Retrieved 2 November 2014. ^ "Motherwell: Ian Baraclough is new manager at Fir Park". BBC Sport. BBC. 13 December 2014. Retrieved 13 December 2014. 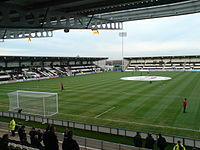 ^ "St Mirren: Tommy Craig exits as manager after 19 games". BBC Sport. BBC. 9 December 2014. Retrieved 9 December 2014. ^ "Hamilton Academical: Martin Canning becomes new manager". BBC Sport. 23 January 2015. ^ "Allan Johnston: Kilmarnock manager relieved of duties". BBC Sport. 6 February 2015. ^ "Top scorers". ESPN. Retrieved 27 December 2014. This page was last edited on 14 March 2019, at 00:35 (UTC).